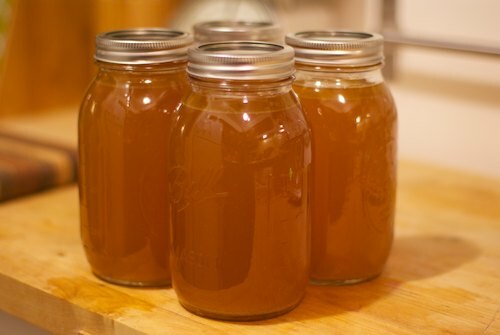 A good bone broth recipe provides ' tried and true ' nourishment for your dog. Bone broth is nutrient dense food. Remember when your grandmother used to make homemade chicken soup? We all know that chicken soup will ' cure what ails ya '! Tasty, appetizing bone broths smell great. Often the tempting aroma is enough to peak the interest of a sick dog who is not much interested in eating or chewing food anymore. They can easily lick it from a small bowl or plate. If you're anything like me, you'll hand feed a sick animal. The key to making this broth recipe excellent, is to simmer it for a long time. Usually about 24 hours. 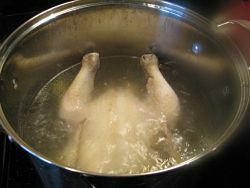 Over these long hours of slow cooking, the bones will release their minerals, fats and other nutrients into the water. Be sure to use filtered water when making bone broths, and if you can find bones from pasture fed animals and free range chickens, that is perfect! We're going to start with chicken bone broth because of all the bones available, it has the mildest flavor. Other types of bones tend to be stronger in taste and aroma. Get started with your bone both recipe using a whole, free range ( if possible ) chicken or cut up chicken, and place in a large pot and cover with pure ( filtered ) water. Bring it to a boil, and be sure to remove (skim off ) the grey-ish, foamy scum that forms on top as the broth begins to boil. The scum contains impurities. Optionally, you can add a small amount of easily digested vegetables such as spinach, carrots, celery or parsley at this point, if you want. It's not necessary though, because we're not making vegetable soup, right. Then turn heat down to low and simmer this way for about 4 hours, or until all the meat and skin fall off the bones. Dump all of this into a large colander or strainer making sure to save the liquid in one bowl, and the meat, skin, optional vegetables and bones in another. Let cool. When cool, separate the meat and skin from the bones. Save this to use as an easily digested soft food, when your dog is starting to feel better. Old dogs like this too, if their teeth are not the best. Put the bones back in the large pot with the saved liquid and add more water to cover. Bring to a boil and then turn down to simmer again for about 24 hours, adding small amounts of water when necessary. You can also do Step Two in a crock pot. 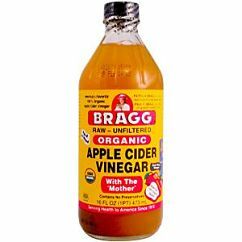 At this point, I like to add a tablespoon of raw, unpasteurized apple cider vinegar ( any vinegar will do ) to the bones and liquid. The acidic vinegar will help to extract the healthy, rich minerals from the bones, into the bone broth. The simmering is the longest part of the process. It takes a long time to get the minerals out of the bones. So don't be impatient. 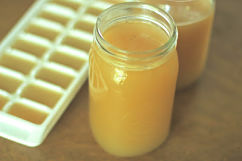 When your bone broth recipe is finished cooking, strain the bones from the liquid and discard. 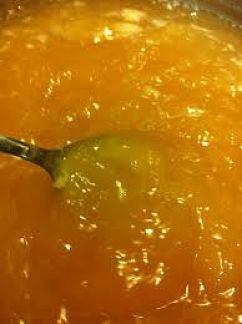 Keep this lovely nutritious broth liquid and feed in small amounts, slowly to your sick or old pet. Even though all the bones have been removed and discarded, I like to put the liquid into a blender and whiz for a few seconds, just to make sure there are no cooked bone shards. Never feed cooked bones to your pet. Feed only raw bones. You will notice that the bone broth is quite gelatinous. This is good. It means you have extracted all the nourishing minerals and collagen from the connective tissue of the chicken. This contains natural glucosamine. Don't forget that your bone broth recipe can be made from beef bones, pork bones, lamb bones whole fish bones including the head, and bones from game animals such as venison, too. I suggest you start with the chicken bone broth recipe above. This delicious soup like food, is nutrient dense and very healing for both people and dogs. 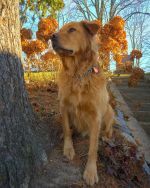 If your dog is experiencing allergies, leaky gut, irritable bowel, colitis, inflammatory bowel disease, or any other immune related health problem rooted in the gut, feeding small amounts of bone broth one day a week instead of food, can go a long way toward helping your dog recover. You might be thinking that making bone broths is too much trouble and takes too much time, but believe me, it is well worth the effort. You will have lots, so freeze it and keep it. I like to pour the extra broth into a couple of ice cube trays and freeze it. Then I can take out small amounts as I need it. That's a good idea eh? Brilliant, if I do say so myself! Try using a pressure cooker. Simply put in as many whole chickens as your cooker will hold. Mine holds 2 or 3. Add water. I use a gallon. 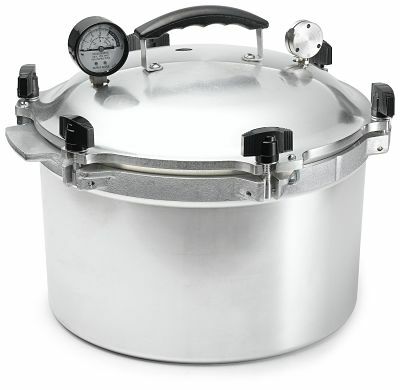 Put the top and pressure regulator on and cook for 3-4 hours. Mine goes about 3.5 hrs. Cool and release pressure. I cheat a bit and pull out the breasts for myself. But all the rest of the meat, the broth and the bones can be fed to your dog. Yes, I said the bones, they become potato chip soft and will be easily digested by the dog. They'll get all that lovely bone marrow that's inside. Once cooled, you'll see that gelatinous broth. Trust me, make a batch using this both recipe time saving tip, and prepare to be amazed! Homemade dog food - If this is your feeding method of choice, then simply add a frozen cube or two of bone broth to your dog's meal once a day, or a few times a week. It will enhance the nutrient value of your homemade dog food tremendously. Raw dog food - Since this method of feeding is more nutritionally complete, I like to use bone broth as a treat food. I'm a big fan of fasting for health and so if my old dogs are due for a fasting day, I simply give them a couple of thawed out bone broth cubes at night to tide them over 'til morning. It makes them think they're getting some food, and they are delicious and nutritious, without overloading the digestive system which is resting during a fast. Dry dog food - This is my favourite suggestion. If you feed dog kibble, adding a small amount ( a few tablespoons ) of bone broth will make your dog's food bowl a gourmet delight. It will enhance nutrition and flavour and your dog will love you because he will be getting some actual REAL food. Yeah!!! Real food at last! 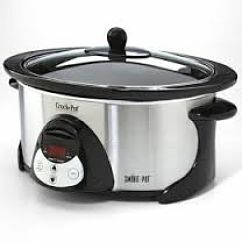 You can use a crock pot if you prefer. 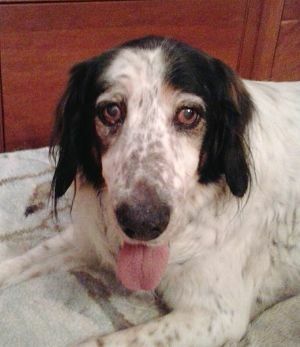 This is my lovely, old dog Jack. He was just a couple months short of his 20th birthday in this picture. Jack sure loved his amazing healthful, energizing bone broth. I would add a couple of tablespoons to his food to ' peak ' his nose. It worked every time!